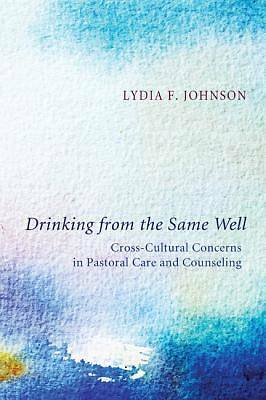 Description: Drinking from the Same Well is designed for those who seek a praxis-oriented theological grounding in the exploration of cross-cultural perspectives in the field of pastoral care and counseling. It traverses the broad terrain of cultural analysis and also explores in depth a number of discrete cross-cultural issues in pastoral counseling, related to communication, conflict, empathy, family dynamics, suffering, and healing. Cultural analysis and theological reflection are situated alongside numerous case studies of persons and situations that enflesh the concepts being discussed, and readers are invited to engage personally with the material through a variety of focus questions and reflective exercises. This book can serve as a helpful textbook for seminarians and a useful guide for pastors and priests, church study groups, multicultural parishes, and anyone engaged in helping ministries with persons from other cultures. The goal is to develop culturally competent pastoral caregivers by providing a comprehensive and practical overview of the generative themes and challenges in cross-cultural pastoral care. Endorsements: ""This thanks of a collective heart to Lydia Johnson . . . For disarming us with difficult questions so tenderly put . . . For writing so accessibly, her scholarship down to earth and sea . . . For living long in the spaces where such lessons hide and abide . . . For paying attention with the eye of heart and mind . . . For pausing on this journey to drink so deep."" -Bill Wylie-Kellermann author of Seasons of Faith and Conscience ""Lydia Johnson has written a most timely book in terms of need. The most usual lines of inquiry for a diasporic and cross-cultural inquiry into the Christian faith have focussed on biblical hermeneutics, theological revision, and matters to do with culture and the refashioning of identity. Here we have a key text that concentrates upon pastoral care and counselling. It is speaking into the globalized world of the mass migrations of people and speaking into the consequences of such."" -Clive Pearson Head of School, School of Theology, Charles Sturt University About the Contributor(s): Lydia Johnson has taught pastoral theology in universities and seminaries in South Africa, Fiji, and New Zealand, and has held pastorates in Jamaica and the southeastern United States. She has edited several books on women's theology in Oceania, and is the coauthor of Reweaving the Relational Mat: A Christian Response to Violence against Women from Oceania (2007).